Announced at last year's Invitational "Dota 2" tournament, Valve chief Gabe Newell recently took time to offer more details about "Artifact" during a closed doors presentation, reports IGN. 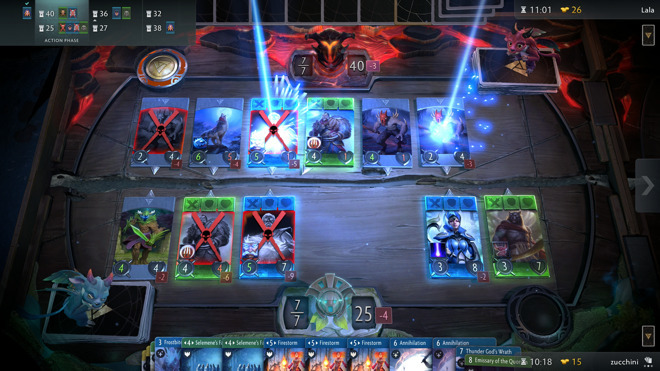 While the desktop-based version "Dota 2"-based card game is still in closed beta ready for release later this year, it was revealed it will also be arriving on mobile devices in mid-2019 for both iOS and Android. While this will mark the first time Valve will bring a game using the Source 2 engine to iOS - which could be followed by other Valve titles or for the game engine to be used by other developers for mobile titles - Valve already has some experience with the platform. It currently offers its Steam Mobile app, which allows users to access the social elements of the company's game marketplace. 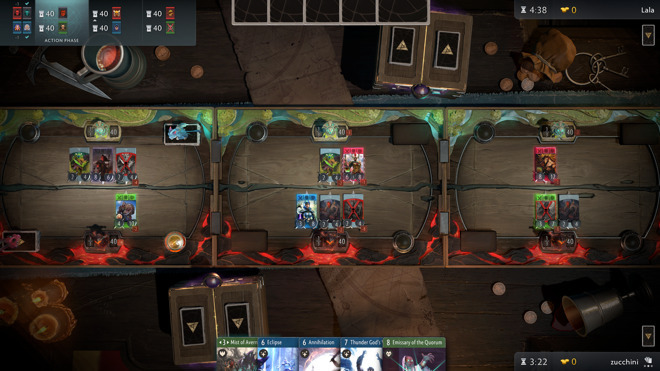 "Artifact" could be called Valve's attempt to take on Blizzard's "Hearthstone" and other similar titles, but it will play in a way better described as "Dota 2" with cards. Using a deck the player constructs, cards are played along three game board "lanes," with the aim of pushing along to the end and destroying two of the opponent's towers, while protecting their own. Five hero cards can be included in the deck to perform attacks against enemy creatures, which are not eliminated out of the game entirely, but instead are left out until the player's next turn. Also unusually, instead of a global mana "pool" used to perform actions, each lane has its own separate pool, which grows over time. 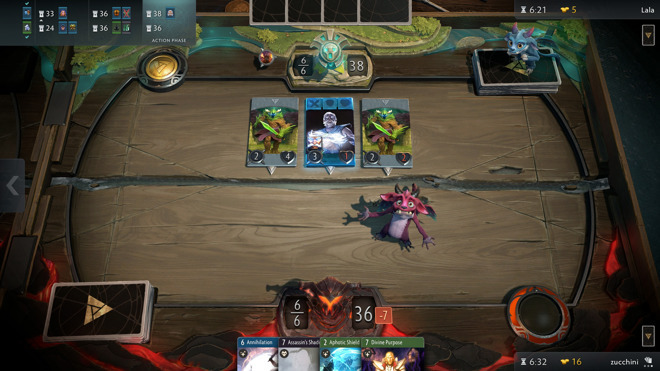 Newell clarified that "Artifact" is not a "Dota 2" card game, but instead uses its concepts for convenience. In fact, "Artifact" will help create content for "Dota 2," including new heroes that will appear first in the card game. Promising high production values and an AI that teaches how to play the game, Newell also advised the game would not be a free-to-play title, requiring players to invest before they can start dealing the digital cards. The game will include a marketplace and workshop, similar to other Valve titles, which will allow players to buy and sell game items with each other. The main release of "Artifact" is expected to ship by the end of 2018. Though Valve hasn't yet confirmed it will be shipping on macOS at launch, the fact that "Dota 2" and other games by the company can run on Mac desktops indicates it is extremely likely "Artifact" will be handled the same way.